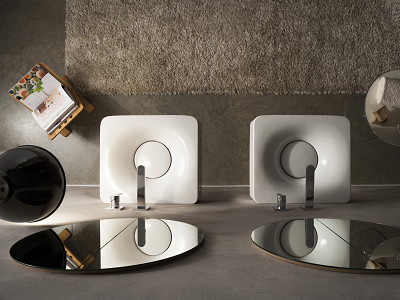 The washbasin – elegant, functional and available in several different models has become a truly central feature in the bathroom environment. Scarabeo has upheld this belief since 1974. The commitment and reliability demonstrated, together with the high quality of the products it manufactures, has made it possible for the company to establish itself on the national and international markets, while entering into beneficial agreements with some of the most important companies manufacturing bathroom fixtures throughout the world.